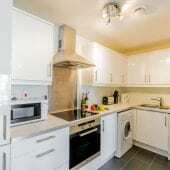 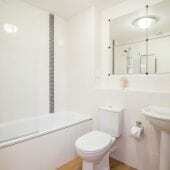 This is luxurious two bedroom / two bathroom apartment. 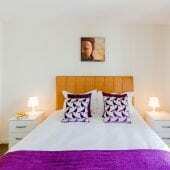 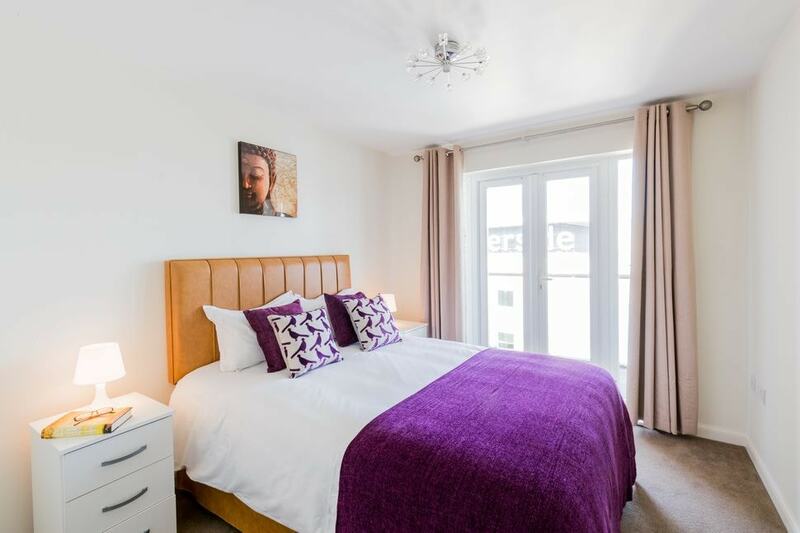 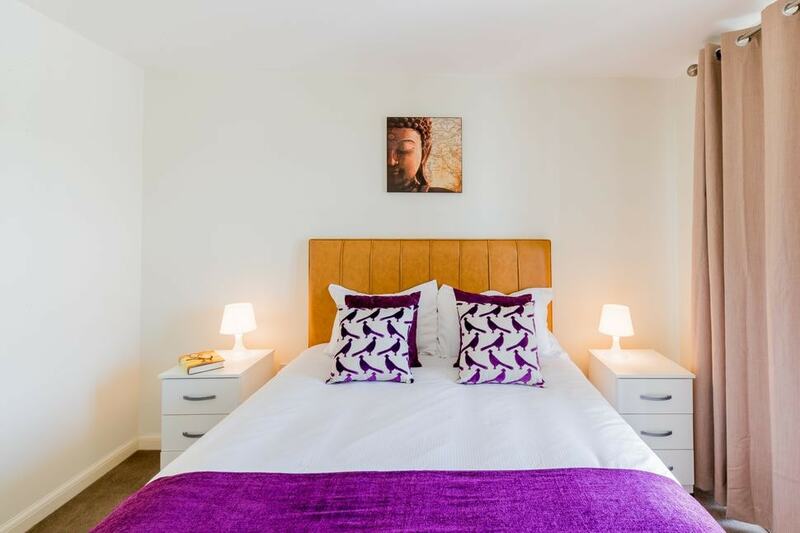 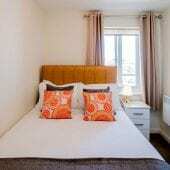 The Master bedroom has a choice of either a Kingsize bed or Twin beds and the second bedroom has a double bed. 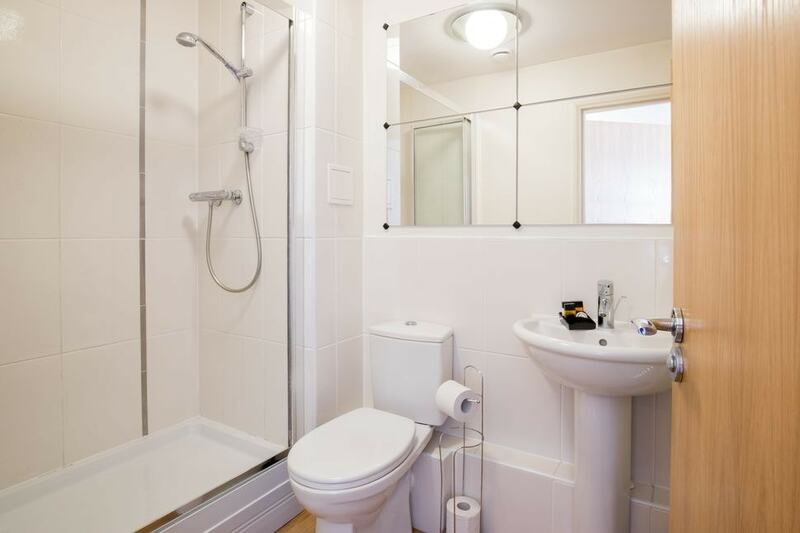 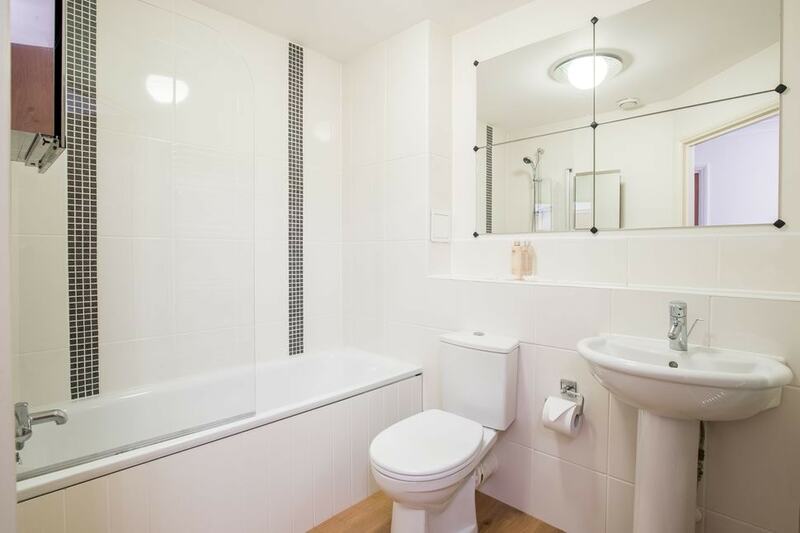 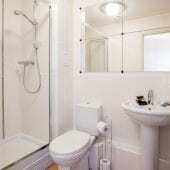 There are 2 spacious bathrooms, one of which is en-suite to the master bedroom. 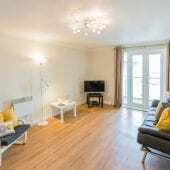 There is a spacious and comfortable lounge with double sofabed, dining table, Sky+ TV, DVD, direct dial telephone and broadband/Wifi access. 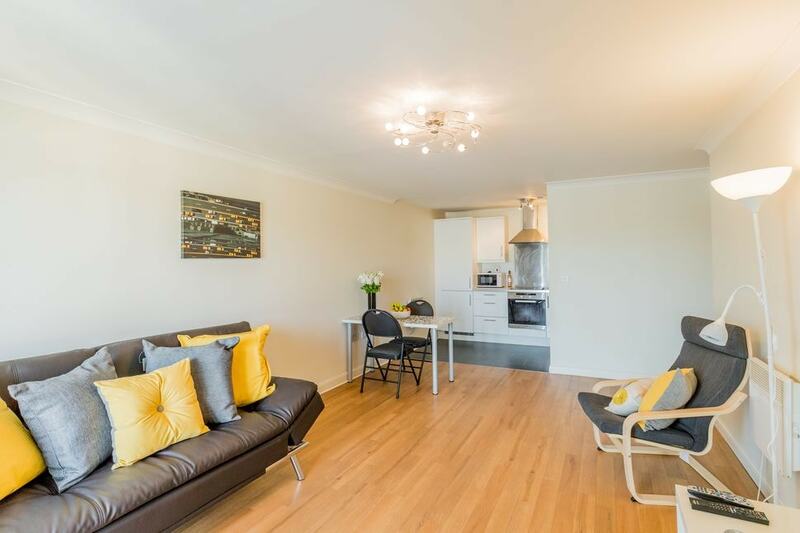 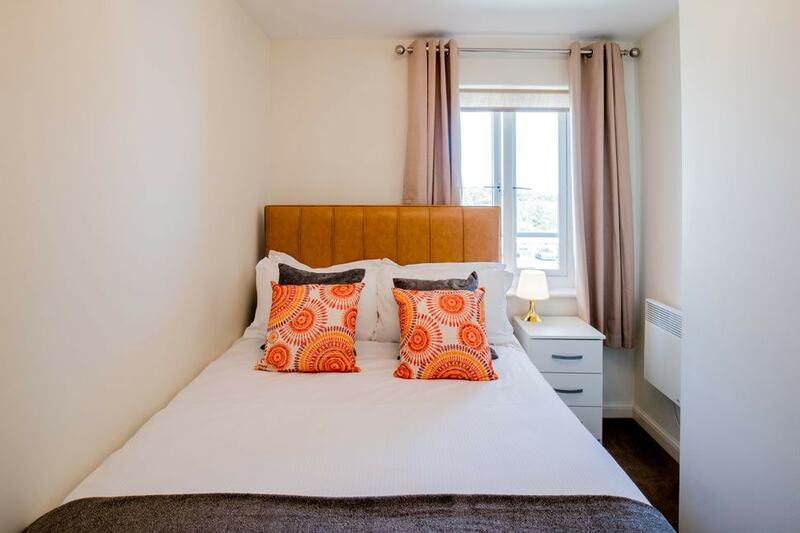 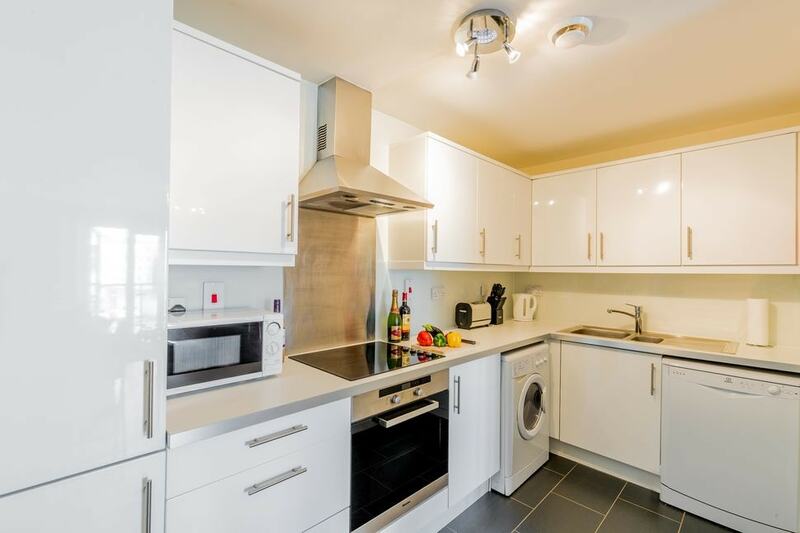 The fully fitted kitchen is of the highest standard and comes with washer/dryer, ideal for longer stay visitors, fridge freezer, dishwasher, microwave, kettle and toaster. 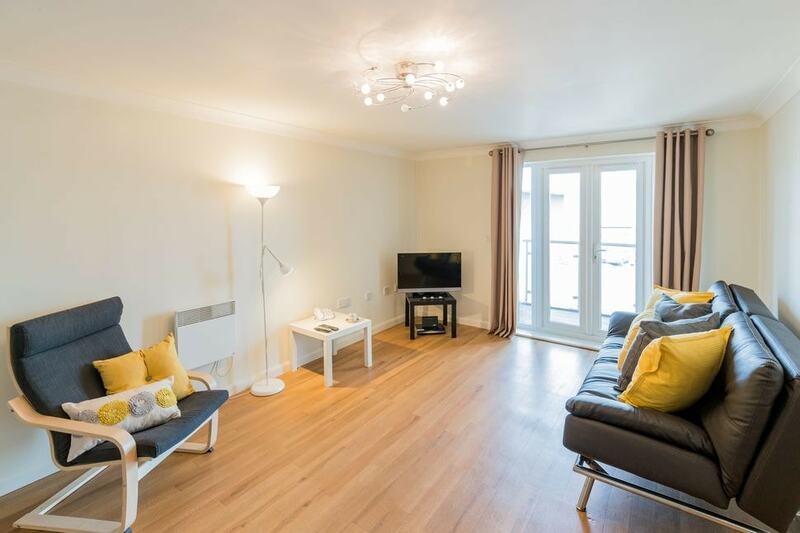 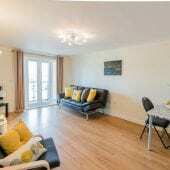 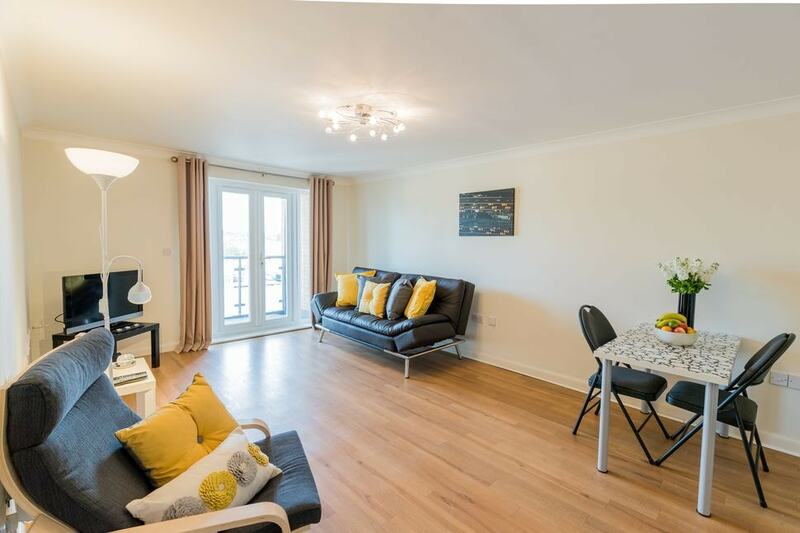 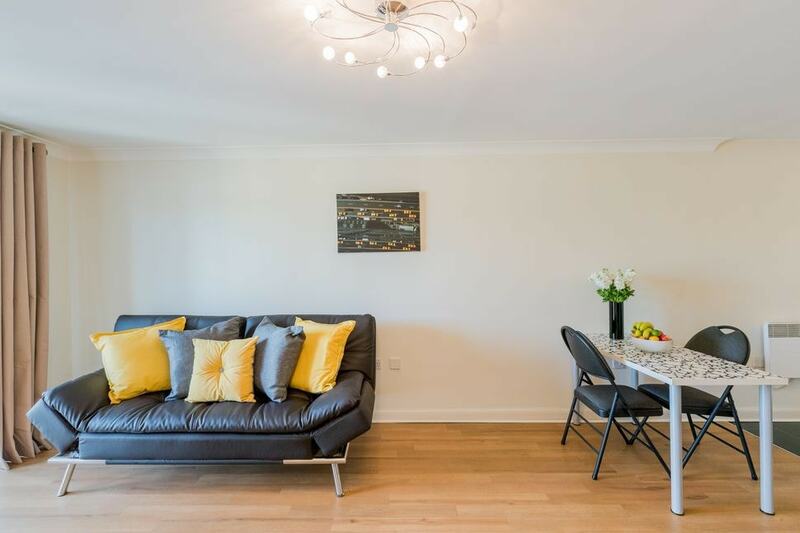 This apartment also enjoys a large balcony accessible from both the large bedroom and the lounge.